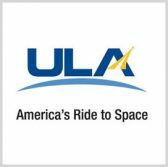 United Launch Alliance has started preparing for the Sept. 15 launch of a Northrop Grumman-built spacecraft via the Delta II 7420-10, marking the rocket’s last launch into space. ULA said Wednesday the Delta II configuration rocket will carry NASA’s Ice, Cloud and land Elevation Satellite-2 to space, where it will monitor the changes in the ice sheets in Greenland and Antarctica. The ICESat-2 mission will also involve determining the causes and effects of the environmental changes on future global sea level, tracking differences in sea-ice thickness and calculating large-scale biomass. The launch vehicle will take off from Space Launch Complex-2 at Vandenberg Air Force Base in California. Over its 29 years of service, Delta II completed 129 missions, which includes the launch of the first Global Positioning System satellites and the Spirit and Opportunity rovers for Mars.